The following ministries support the work of Credo through financial support or the regular involvement of their membership. We honor and bless the faithful men and women of Credo as they serve in the local body of Christ. Located in Ijamsville, Maryland MVC is a community church where the focus will always be beyond the walls of our church. That calls everyone at MVC to be involved in ministry to the community. Our building buzzes Monday through Friday with parent groups, non profit workshops, county events, blood drives, color guards, basketball, indoor soccer, and a coffee house on the last Friday of each month. The purpose of Celebrate Recovery is to fellowship and celebrate God's healing power in our lives through the eight recovery principles found in the Beatitudes and Christ-centered 12 Steps. We promote and facilitate adults in starting effective mentoring relationships with youth. We offer facilities and opportunities for experiencing outdoor adventure activities such as sailing, boating, fishing and camping. 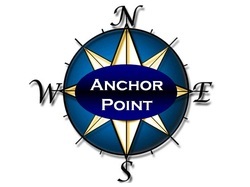 We assist others in finding their "anchor points" in life.